It is increasingly recognised that the strength of the bond between counsellor and client is the best indicator of a good outcome for the client. The theoretical model employed by the counsellor matters less than the relationship the counsellor can build with each individual client. Yet first year counselling students continue to be taught about different models of therapy and specialised approaches supposedly needed by clients with different problems. The result is often confusion and uncertainty, and many ‘trained counsellors’ graduate without a solid grasp of how to form an authentic relationship with any client. Unlike most texts, A Safe Place for Change focusses squarely on the therapeutic relationship. Skills are presented in terms of their contribution to the relationship. Theories and models are referred to throughout, but the authors emphasise what the different approaches have in common, rather than the specialised terminology that often makes them seem more different than they actually are. The personal capacities and skills that distinguish a good counsellor or therapist are presented in the same order in which they would appear within the actual therapeutic relationship. The initial chapters teach ‘holding’ and ‘exploring’—skills that are almost automatically required in the first few sessions with a new client. Then follows a chapter that deals with the challenge to the counsellor–client relationship which often appears after the first two sessions, and shows counsellors how they can respond most usefully to that challenge. As the therapeutic relationship continues and deepens, it becomes possible to invite clients to consider how they might be contributing to their own problems—the skill of ‘gentle honesty’ or ‘encountering’. Finally, the authors introduce two different approaches to achieving change-- ‘solving the problem’ via advice, instruction, and homework, and ‘re-parenting the person’—something that is more likely to be crucial in long-term work with clients who present entrenched difficulties in living and relating. 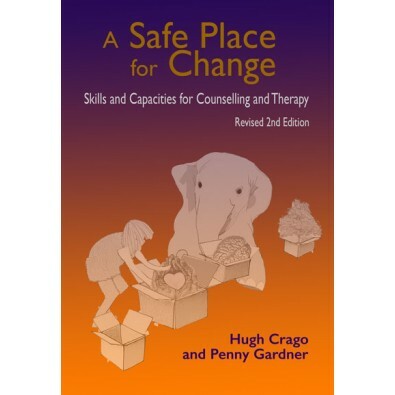 Well-written, insightful and accessible, this textbook speaks directly to students of counselling and psychotherapy, recognising their needs and their challenges. The authors’ real-world experience is evident throughout the book, as is their skill in teaching complex concepts in clear language.